DAILIES TOTAL1® Water Gradient Silicone Hydrogel (SiHy) contact lenses contact lenses provide clear vision up close, far-away and everywhere in between. 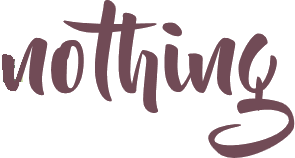 No more straining your eyes to read the fine print and start seeing clearly again. Blink-activated moisture technology provides comfort all-day long. DAILIES TOTAL1® Multifocal contact lenses are the world's only water gradient lenses that provide a cushion of moisture so it feels like you're wearing nothing at all. Specifically designed to help you focus on things up-close for presbyopia, a condition that usually happens around age 40 as the lens of the eye stiffens. DAILIES® AquaComfort Plus® contact lenses offer blink‑activated moisture for all-day comfort and are the perfect starter contact lenses. DAILIES® AquaComfort Plus® contact lenses are daily disposable lenses, and a healthy option for your child. These single-use lenses can help establish great wearing habits for younger wearers just getting started with contact lenses. DAILIES® AquaComfort Plus® Multifocal contact lenses provide clear vision up close, far-away and everywhere in between. No more straining your eyes to read the fine print and start seeing clearly again. Blink-activated moisture technology provides comfort all-day long. 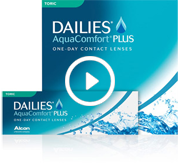 DAILIES® AquaComfort Plus® Toric contact lenses correct astigmatism and provide consistent clear vision all day. With blink-activated moisture technology, you can experience outstanding comfort throughout the day.